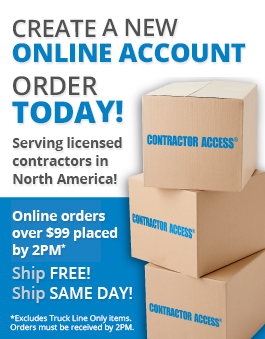 Contractor Access is dedicated to the success of your business through innovative product solutions, competitive pricing, and expedited delivery. When you need materials on time to get the job done, Contractor Access will get the products delivered. When contractors need help, Contractor Access representatives are available to help find the right products.